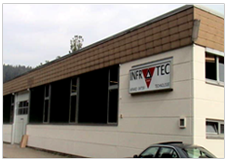 ALTOTEC is operational since 1997 with technical collaboration with M/s Infratec Infrarot Strahler GmbH has 20 years experience in the field of industrial heating. Lohmuhlweg 24,D 72213 Altenstieg. We have own manufacturing unit in Germany. We are one of the manufacturers of Infrared heating system with advance german technology in the world. Aultotec strated their opertations with full local back-up to get technology and German quality at Indian price. Altotec Workforce is having experience in the field industrial heating for 15 to 20 years. Altotec is having its office & design manufacturing facilities in Pimpri, Pune 411018. Fully equipped manufacturing facility is available in our approx.2000 sq. ft. premises.